My kids are in college and there isn't a whole lot of disposable income left after tuition payments are made. 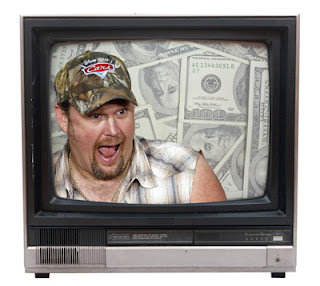 I was watching educational television (okay, it was Larry the Cable Guy) when I realized that after 4 years of tuition payments there won't be much left. Truth is, I'm scared half to death. "What happens if you get scared half to death, twice?" Good question, Larry. I decided then and there that I needed insurance. I'm very skeptical of anything that requires one to pay upfront on the speculation of anything else happening. After all, that's how many of us lost our retirement funds roughly 5 years ago. Remember how real estate was a sure fire investment? I sold my house at a loss. And the expression "Trade long, not short?". Thanks to my financial adviser I'm long on debt and short on tax deductions. While I'm fairly sure there is no such thing as income tax insurance, its time for me to find out what is available to address my needs and budget. It will cost more than a little pocket change to get insured properly. But then, what is considered proper and what is excessive? I can't afford to waste money on insurances that I don't really need. Time to do a bit of research before I call an insurance agent. "42.7 percent of all statistics are made up on the spot." It was much easier finding out what I don't need rather than what I do need. The following is a list I made of the insurances that have the most unlikely event of paying out. I call them casino insurance policies because the percentage of payout is extremely low, making them a windfall for insurance companies and, odds are, a waste of money for you and I.
I discovered that only 5% of folks between the ages of 45 and 65 die of accidental causes. I figured this was one type of policy I would need until L learned that most life insurance policies cover accidental death anyway. This insurance is redundant. One can be covered in the event of contracting a particular cancerous disease. Who knew? This seems to make sense on the surface until one discovers that, like accidental death, this is usually covered in a term life policy. Not only that, but often not all types of cancer are covered. Skin cancer, for example, is usually exempt. Not only that, but this type of insurance can be expensive. For those over 65 years of age, why not use the same monies for pay for prescription drug coverage? Should you die before your time, you can have insurance that pays off your mortgage. Seems reasonable, particularly if your spouse doesn't work. However, who do you really want to pay upon your death, your heirs or the bank? Again, a standard term life insurance policy is a better answer. The payout goes to my spouse who can then allocate the funds as she sees fit. Pay some tuition, then use some to pay pay taxes, pay down the mortgage, or whatever she finds to be financially prudent at the time. Why would I want to have anyone else dictate my loved ones' future financial moves? Taking advantage of recent news headlines and borrowers alike, credit companies offer insurance against identity theft and loss in the event of stolen credit cards. Funny thing is, the feds enacted a $50-per-card card holder liability limit on purchases made with a stolen card. You're already covered, really. Talk about a scam. Flight Insurance According to planecrashinfo.com, the likelihood of being in a fatal plane crash (assuming you're flying with a major carrier) is 1 in 11.4 million. Knowing that flight insurance is expensive, does that sound like a good investment? Not to me. This exercise taught me several things. Firstly, a simple term life insurance policy seems to cover all these unlikely events plus some. Its a sound investment and one that will ensure that my kids finish school and my spouse won't have too much to worry about should I go into the fertilizer business, be placed on the unable to breathe list, buy a pine condo, or any other euphemism for death that you might prefer. All the above quotes can be attributed to Larry the Cable Guy, which brings me to the second thing I learned. Cable TV really can be educational. I really enjoyed flipping through this. I think I will have a go through your other posts! bit. It is going to maintain them scratch free.